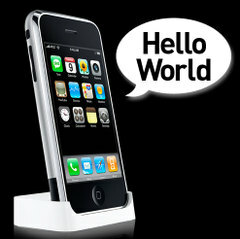 Popular Science Blog - Hello World: Third-Party Application Running on a Hacked iPhone? 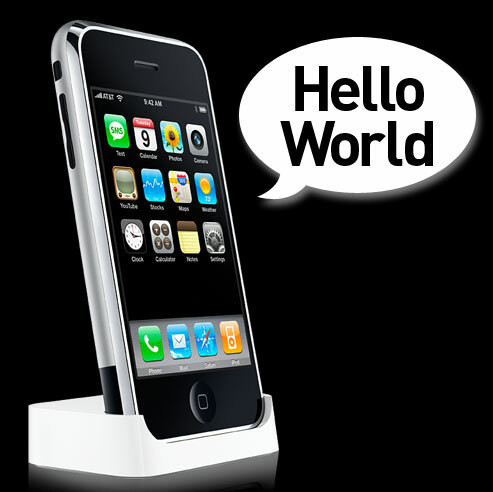 Hello World: Third-Party Application Running on a Hacked iPhone? The race to hack the iPhone was taken up a notch today by the folks at the iPhone Dev Wiki (Google it, they still don't want links in to avoid crashing their servers), as one of the team's most dedicated members claims to have written, compiled and ran a "hello world" application—geek-speak for a test program that simply displays the text "hello world"—on the iPhone. Patrick Walton (or "Nightwatch"), who appears to either be a student or professor at the University of Chicago, is being credited with the break-through. I like this text from the post: "Patrick Walton (or "Nightwatch"), who appears to either be a student or professor at the University of Chicago, is being credited with the break-through..." is very good! Google hacked new iPhone? I don't believe this. I will say this in closing. If anyone hates these people it is also sin, and by your hate you bring yourself down to the same level with those who oppose the Lord. It is easy to hate someone, but very hard to love someone who comes against you and your Father. I choose love for Christ and all his people. Does this mean we have roll over and play dead because this law was over turned? Not at all. I like watch forum very much, this watches 2011 is so nice, I think you will love too, here we offer best replica watches. I have a look at your article and learn from some useful information,thanks so much!